The Servers Report is available on the Instore app under the button. This report provides employee-level reporting, and is helpful for businesses that track sales and tips by employee. 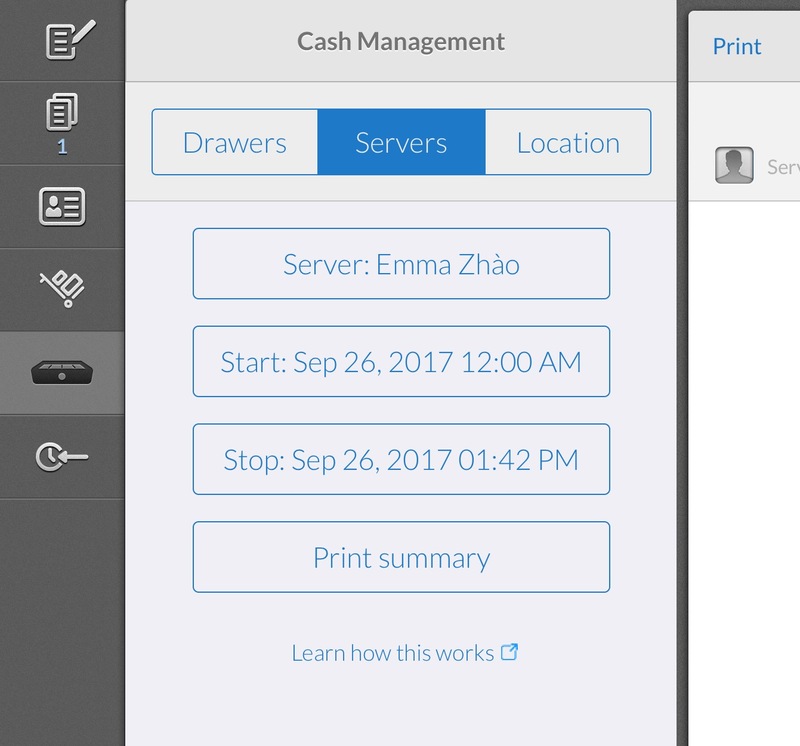 Use the Servers Report when you need to close out a server’s shift, making sure open tables are closed or transferred and tips have been added. 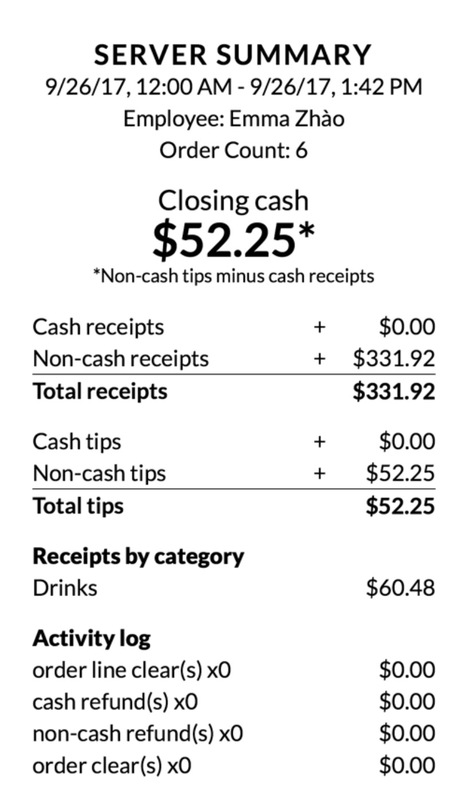 The report will summarize Closing cash (which assumes the server has kept their own bank) as well as Total tips (if servers cash out into a separate cash drawer). Note that you can quickly close out the night by running multiple Server Reports at once. You can also breakout specific menu categories on the report for help with tipping out bartenders, bussers, etc. To break out one or more categories, navigate to Items/Categories on Office and select Yes on Break out on server report.